In support of our Christian based whole person care ethos, emotional and spiritual support is considered vital to the general well being of each resident. The residents’ charter of rights includes the right to have their religious needs accepted and respected and although a Christian based home, non-Christian needs can be met. Residents are free to follow the religion of their choice. Ministers visit the home regularly and offer communion. We hold a non denominational service on a weekly basis for all residents who wish to attend. A retired chaplain visits once a week on a voluntary basis. He has regular contact with those residents who very rarely have visitors and also sees those who we have identified as requiring more spiritual support. Considerable comfort is often gained from faith in declining years, even with people who have had little to do with their faith since their childhood. 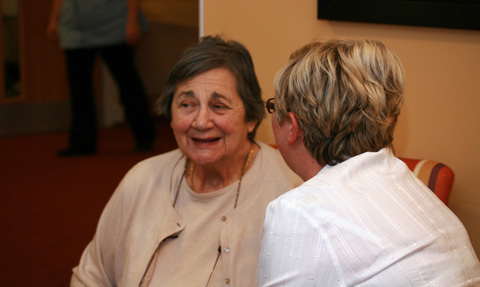 It is an important part of the life and routine of the home and many residents benefit from conversation with people connected with religious organizations. The home will facilitate the observance of those religious festivals that are appropriate to the faith of the residents living in the home. The observance of religious rituals to be carried out prior and post death is assured. Cultural and religious requirements of each resident are included in their individual care plan.